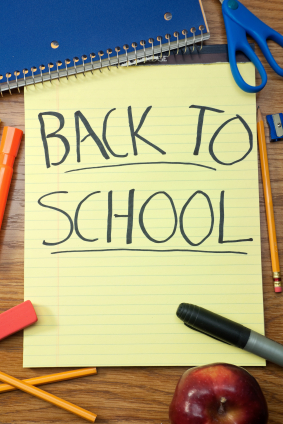 If you’re in the sublimation business, this time of year, whether you have kids or not, is probably focused almost exclusively on those who are getting ready to go back to school. Whether it’s the first day of kindergarten or the first day of college, returning students need a lot of equipment, and your goal as a businessperson should be to capture some of the dollars they will spend. Fortunately, there are a lot of products for sublimation that are also great for back to school. Here are just a few of them. Mousepads – When I was a kid in school, and yes I know this dates me, we used electric typewriters. These days the kids work in computer labs. Each computer lab is probably going to need mousepads, and wouldn’t it be awesome if they were personalized with the school logo instead of a cartoon character or a random picture? Water Bottles – From the football team to the cross country runner to the drill team, there are a lot of school teams working out in the hot late summer sun. Those teams need to stay hydrated, and water bottles with the school logo are a great way to make that happen. Sports Bag Tags – Teams are traveling to away games all the time, and that means a lot of luggage and equipment bags. Sublimated sports bag tags and luggage tags can help ensure that each students belongs and equipment are easily identifiable. Aluminum Bookmarks – Kids have textbooks and book report books and a lot of things that need to be read. A bookmark with a school logo or mascot on it is a great way to make sure they don’t forget where they left off reading. Message Boards – Walk down your average college dorm hallway and you’ll see message boards on a lot of doors. These boards are a great way to personalize a dorm door while allowing communication. Canvas Bags – The one thing that remains constant about school is that fact that there’s a lot of stuff to carry. A personalized canvas bag will make toting books and paper and all the other necessary supplies a lot easier. Patches – Patches are a great way to add personality and identity to book bags, backpacks or school spirit wear. You can either buy blank patches and sublimate them yourself, or send us the artwork and have us create custom sublimated patches for you. School Logo Wear – From coaches to boosters to the students themselves, almost everyone needs or wants a shirt with the school logo or mascot. EnMart has access to the entire Vapor Apparel catalog, so if you’re looking for a size you don’t see on our web site, give us a call. Back to school time is also a great time to learn something new yourself. If you’ve been thinking about trying sublimation, take advantage of EnMart’s QuickStartR or Epson Workforce 1100 Sublimation packages. These packages are a great way to get started in sublimation without spending a great deal of money. Sports bags look really cool when customized, a simple eastpak bag can be turned into a work of art if you know what you are doing!